Most commercial buildings have flat roofs. Although there are several types of roofing membranes, the three main varieties are EPDM, TPO and PVC. Of these three, PVC flat roofing membranes can have a lifespan of at least two decades. This is only one of their many benefits. Here’s what you need to know about PVC roofing and how you can extend its exceptional lifespan. PVC (polyvinyl chloride) roofing is a single-ply roofing membrane that has been used on flat roofs, besides low-sloped roofs, for more than 50 years. A PVC roof consists of two layers. Polyester is added between the layers to serve as support. These layers have additives that give the roofing material flexibility and other benefits. Durability is a huge advantage of a PVC roof. This type of roofing membrane is remarkably strong because it has heat-welded seams that create a watertight bond that’s even stronger than the membrane itself, which gives it permanence. As a result, PVC roofing doesn’t have to depend on tapes, adhesives and caulks for sealing its seams as other types of roofing systems do. PVC roofs are highly wind resistant, thanks to their welded seams. In fact, often PVC roofs have held up even in Category 3 hurricanes. Therefore, if you live an area that tends to experience intense winds and hurricanes, a PVC roof is a good choice. Fire resistance is one of the main benefits of PVC roofing as this type of roofing system is very hard to ignite. Consider that a PVC roof is highly resistant to oxidation reactions, making it exceptionally safer than other types of roofs. The chemical resistance of PVC roofing means not having to deal with roofing issues caused by chemical exposure. Thus, your flat roof can continue to serve you even when it’s exposed to harsh chemical conditions. Environmental friendliness is another plus of a PVC roofing system. The PVC membrane has high solar reflectivity, so less energy is wasted. Also, this can mean paying less money to heat or cool your building. Correct drainage is the most critical factor in preserving the life of your PVC roof. 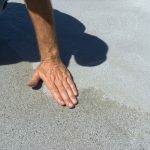 This entails stopping ponding water, which is a common issue with flat roofs. Failing to address ponding water, also known as standing water, can result in water seeping through your roof, leading to severe water damage and costly bills. Unfortunately, damage from ponding water is often not noticeable until mold and rot start to develop. Another important aspect of preserving your PVC roofing membrane is inspecting flashing and seams after a rainstorm. Look for any worn places or damage before leakage occurs so that the lifespan of the roofing membrane isn’t shortened, and there isn’t any further damage. The roofing membrane of a PVC roof can endure both low and high alkaline conditions. PVC roofing isn’t negatively affected by being exposed to fungi, bacteria and plant roofs. 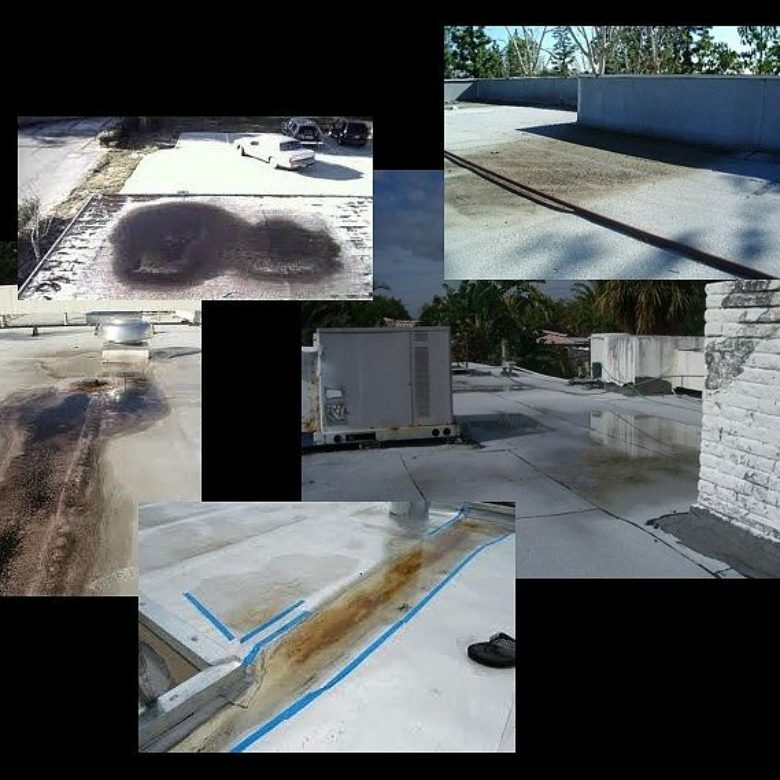 Often restaurant buildings with flat roofs can suffer from animal fat that comes from grease vents, which can damage roofs with an asphalt base, besides other types of single-ply roofing membranes. However, this isn’t a problem when you have a PVC roofing membrane. 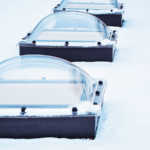 Because PVC membranes are usually incredibly flexible, they can easily be modified for different rooftops. In most cases, a PVC roof can be directly installed over an existing roofing system, which means you don’t have to tear off your old roof. Regardless of whatever roofing membrane you have, our product can help your roof last as long as possible. 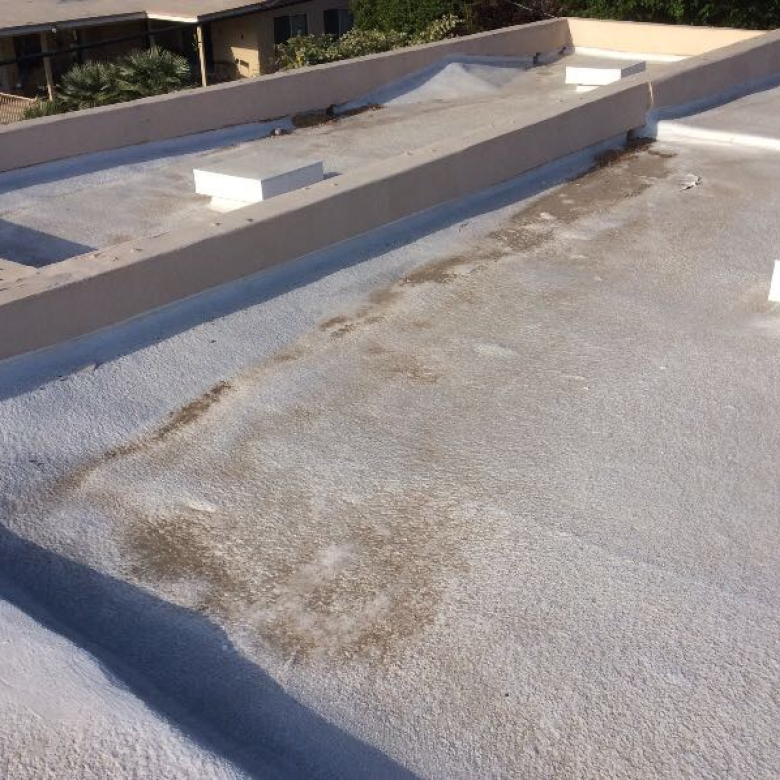 RoofSlope’s affordable product is superior for fixing poor drainage on flat commercial roofs without affecting the quality of an existing roofing membrane. Please contact us and learn more about how we can solve drainage issues on flat commercial roofs.